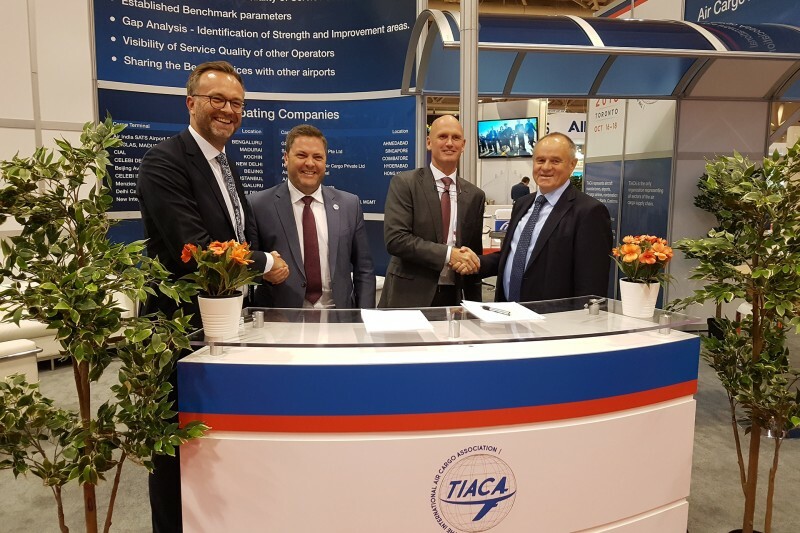 A global trade fair network for airfreight: shortly after the purchase of air cargo India and air cargo Africa, Messe München signed a Memorandum of Understanding with The International Air Cargo Association (TIACA), USA. In the future, both partners will jointly host the Air Cargo Forum and Exhibitions, and TIACA will also support the worldwide airfreight network within the transport logistic exhibitions in Europe, China, India and South Africa. “With our partners, we now offer the airfreight industry six events around the globe within our transport logistic trade fair network,” Gerhard Gerritzen explained, Member of the Management Board of Messe München. The events will be held in alternate years in Munich and Shanghai as well as in Mumbai and Johannesburg, in the fall in even years in Miami and annually in Istanbul. “This frequency allows our customers to participate in Air Cargo events at all relevant locations.” Messe München will handle organization for the Air Cargo Forum, which will be firmly established in Miami in the future. The aim is also to gain new groups of visitors, especially from the shipping industry. “The Air Cargo Forum (ACF) is being strengthened by its partnership with globally operating Messe München, while at the same time retaining its own look,” Steven Polmans, TIACA Vice Chairman, stated. “In the future we will be jointly responsible for the conceptual orientation of the ACF. At the same time, we are contributing our content-related expertise as a strategic partner to all transport logistic trade fairs.“ As an association, TIACA will independently continue to conduct executive summits for the air cargo industry in international markets. Messe München and TIACA concluded their partnership at the Air Cargo Forum in Toronto. From left: Dr. Robert Schönberger, Exhibition Group Director of transport logistic exhibitions; Steven Polmans, TIACA Vice Chairman and Head of Cargo Brussels Airport Company; Sebastiaan Scholte, TIACA Chairman and CEO Jan de Rijk Logistics, Gerhard Gerritzen, Member of the Management Board of Messe München.